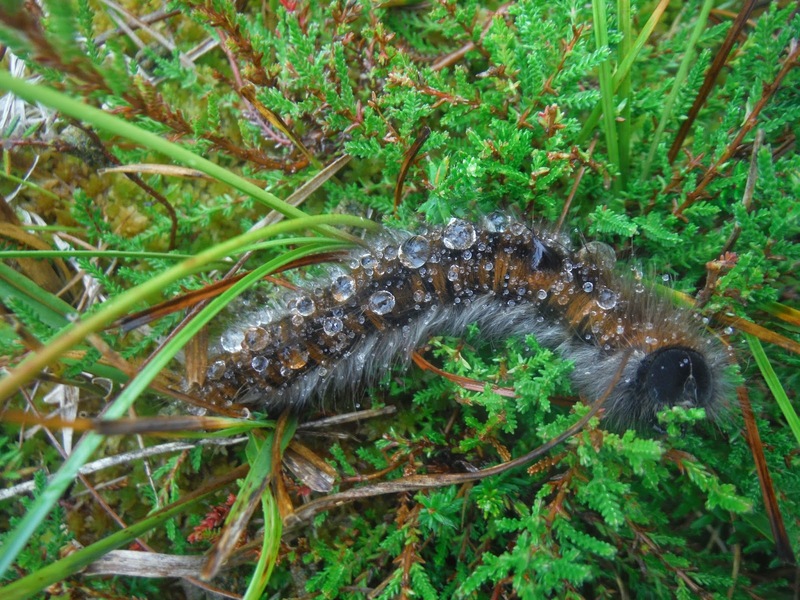 Carmarthenshire Moth and Butterfly Group: Still eating, despite torrential downpours! Still eating, despite torrential downpours! I came across this healthy sized fox moth caterpillar during the recent inclement downpours. Continuing to feed whatever the weather!Looks like the hairs may have some kind of water resistant properties?